This post was written as part of Williams Sonoma's Juice Week focused on "Weird, Wild, and Crazy Juices." 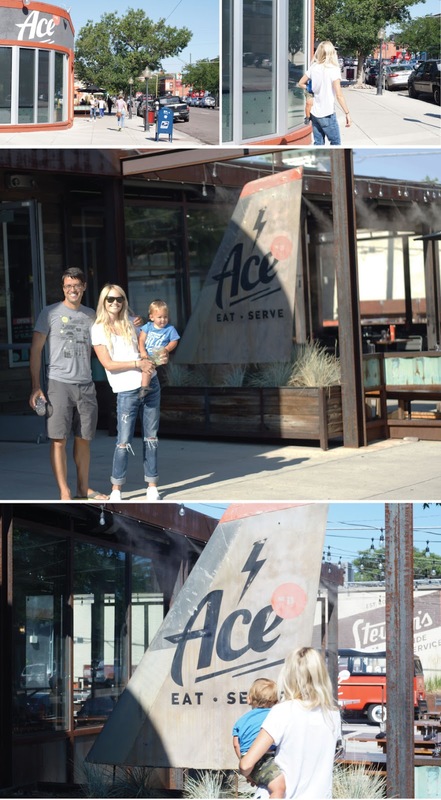 Although the juices we tried weren't especially weird, wild, or crazy we wanted to share our experience at Ace as well as talk a little about the juice we use at home. I did not receive any compensation for writing this post, and as always, the opinions expressed here are all my own. Several years ago, when we were still living in Durango, we got a juicer and started juicing. It came at a time when we were really cleaning up our diets - we went from eating out often (and eating places like Subway, Blimpie's Subs, etc.) to eating mostly at home. We really cleaned up what we at at home focusing on lots of vegetables, high quality protein, true whole grains, and minimal processed food and refined sugar. We decided to juice to get the extra greens in, as our juices always focused on packing in a lot of green vegetables with a little sweet to take the edge off. We purchased the economic Breville Juice Fountain Compact. After shopping all of Williams Sonoma's juicers, this had the right price point, and we found that it served our juicing needs well. Clean up was never fun, but certainly not horrible. Our favorite juice was typically a green like kale, maybe add some extra greens like parsley or spinach. Then we would add some sweeter vegetables like carrots or beats. And to finish it off, and what really made the juice palatable, was the apple or pineapple to really add a nice flavor. Sometimes we would to lemon or lime, if we were in the mood for tart. And occasionally we would add some ginger, but despite its amazing health benefits, I find ginger flavor hard to take in a juice. Even once we moved to Miami, we continued to juice, although we also added in more green smoothies. After moving to Denver, and having Raffa, however, our poor juicer has been collecting dust. We both miss it, and it is a shame that our Whole Foods in the area don't have juice bars. I am personally not a fan of the Sujas etc. that you buy off the shelf. I like my juice literally fresh pressed. That is, of course, the benefit of doing it at home or having a good neighborhood juice bar. I recently looked in to juice bars in Denver, and was surprised and disappointed that there are not that many. 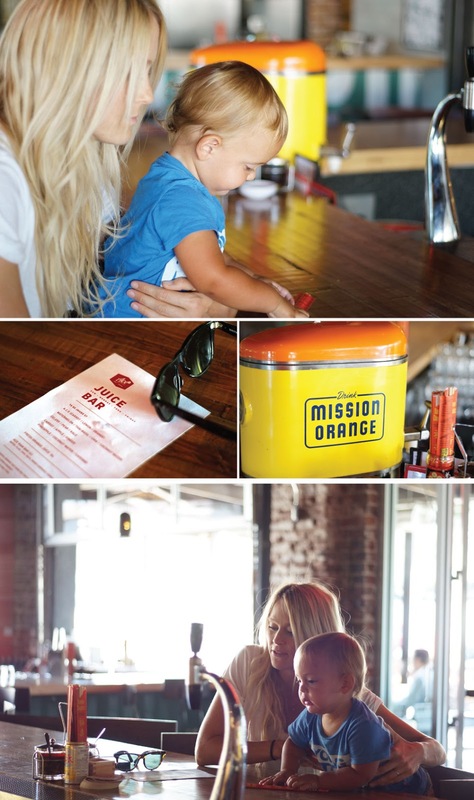 Of the three I found, we decided to try the most fun sounding first - Ace Juice Bar. What makes Ace's juice bar fun is Ace itself ... Ace is housed in an old garage and is a ping pong hall that serves up much lauded Asian inspired dishes. Lucky for us, they oddly enough have a juice bar. It's a small menu, with just six concoctions but they all sounded delicious and the hours are convenient. John, Raffa, and I headed down to Ace one afternoon earlier this week to check it out. We shared two juices - a watermelon, thai basil, chia seed, and coconut water juice and a celery, pear, and kale juice. Both were refreshing and delicious. The a watermelon, thai basil, chia seed, and coconut water juice was ultra hydrating - mostly watermelon flavor with a good hint of the basil. The celery, pear, kale delivered the pear flavor nicely, which pleasantly surprised me since celery usually overpowers other flavors in a juice. Raffa can be somewhat of a finicky (okay ridiculously particular) eater these days, but he drinks green juice whenever offered. So, it is safe to say he liked them too. And since it is a ping pong hall, there are ping pong balls everywhere and Raffa loved playing out on Ace's patio tossing and chasing their bright orange ping pong balls. 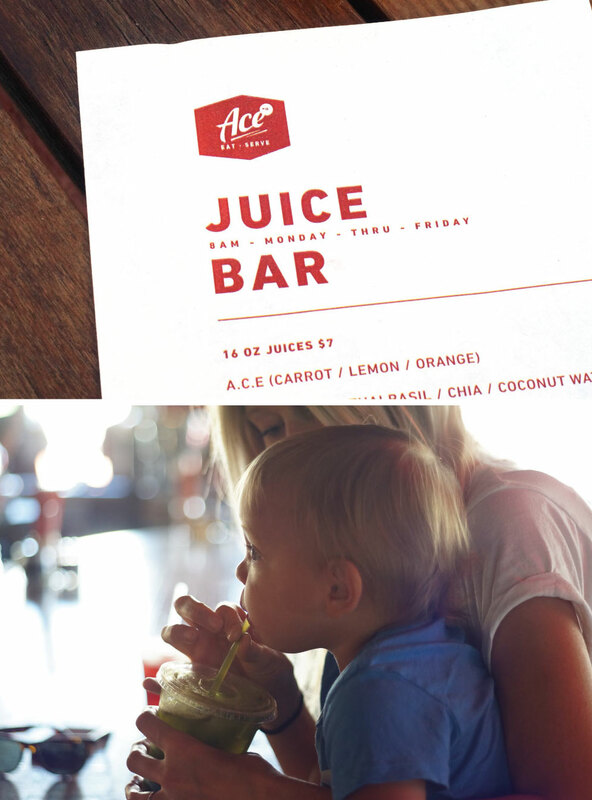 We will definitely be back to Ace for juice again and I would love to try their food, too. We will also work our way through trying some of the other juice bars in Denver. And perhaps we should really think about dustin off our Breville.